Do You Have A Insulation Project We Can Help With? Is insulation possible in the basement? Absolutely. However, the basement is one area of the home where traditional, less effective fiberglass insulation isn’t even an option. The basement is a concrete jungle, full of cracks and voids, a place where cool air comes in and warm air squeezes out. Therefore, the best and only option is to cover the basement, including the rim joist, with a continuous layer of foam insulation. it stops the air from transferring through. A custom fit every time with a seamless system every time. 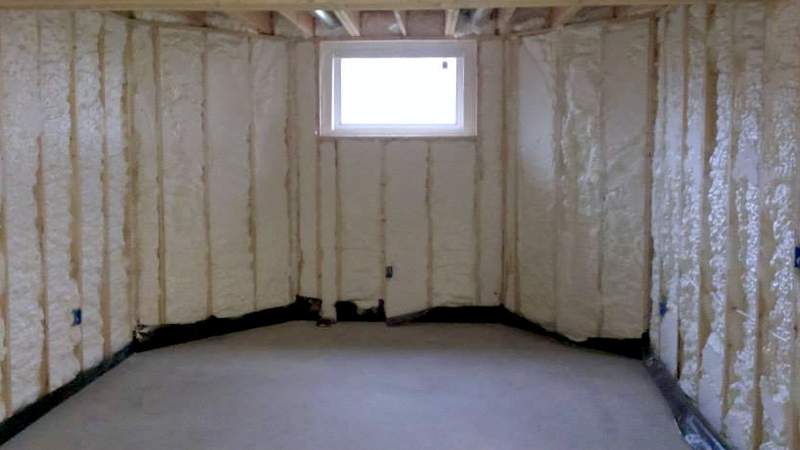 If you are ready to finally insulate your basement, call 888-936-3626 for a free estimate today.